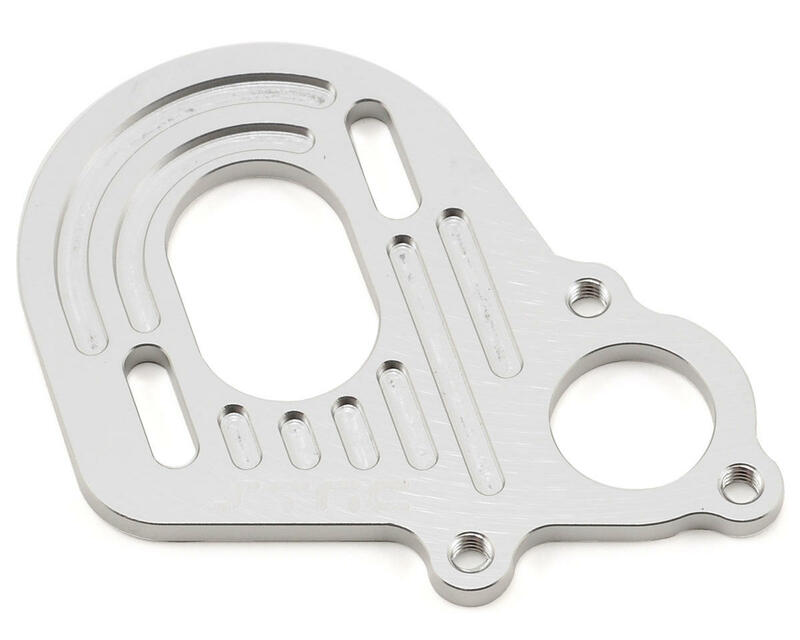 This is an optional ST Racing Concepts CNC Machined Aluminum Motor Plate, and is intended for use with the Axial Wraith. 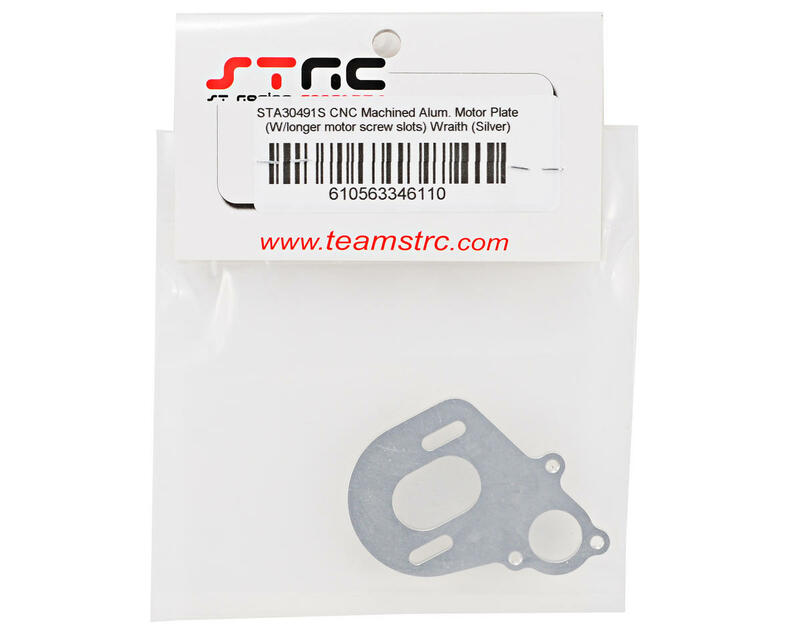 This CNC machined aluminum motor plate features heat sink fins machined into the plate to help dissipate heat from the motor better. This mount also has longer motor screw slots allowing the use of larger pinion gears to be installed when using brushless motors.